As a small business owner, your website is an important marketing tool. Your website should be designed to grab people’s attention and invite them to start a “customer journey”. Most of your website visitors won’t stay on your website for more than a few seconds, so making a clear impression right away is going to make a huge difference. 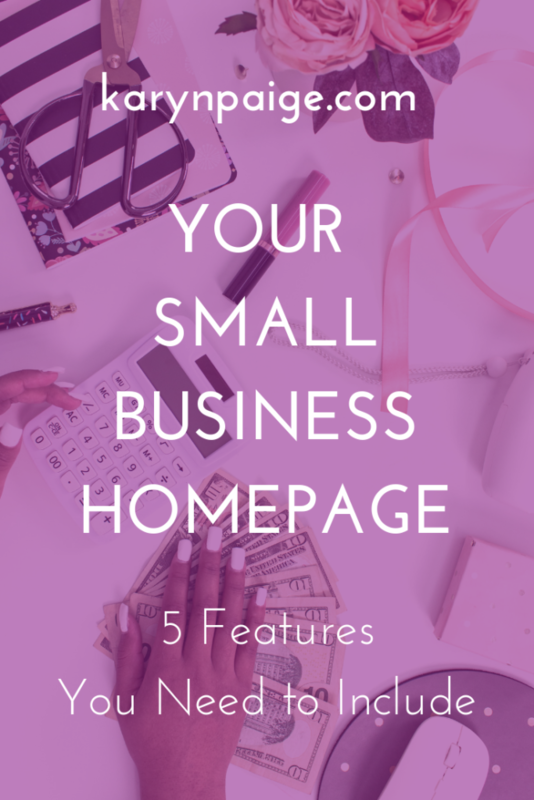 Your homepage is where you can get straight to the point and introduce your business. No matter what business you’re in, your homepage should include a few key features in its design to make sure you’re covering all of your marketing hot topics. Don’t get hung up on all of the cool graphics, images and icons you include in your homepage design. As long as you have the five features I’m about to discuss below, you will be in a great position to market your business. For the purposes of this article, I’m going to list these five features in order of where they should be placed on your homepage, and not how important they are. 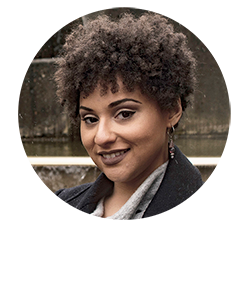 One of the best ways you can connect with your visitors right away is by adding a picture of yourself on your homepage. That’s how they will get to know the face behind the business. It’s a little marketing trick that draws people in so they can feel like they know you. Once your visitors see you and can look you in the eye, they are more likely to trust you. If you’re trying to sell something, you need to build that trust. Your picture should sit with a bit of copy so it’s not just floating around on your homepage without any purpose. That’s where your tagline comes in (more on that later). Place your image right at the top of your homepage. There are lots of creative modules and elements you can use for the design. Canva has a lot of free templates you can use to create homepage banners where you can layer images and text. Some websites are designed to include a tagline near the logo, so it appears on every page. If your website isn’t designed that way, you definitely need to add a tagline. In the previous section, I mentioned including a picture of yourself at the top of your homepage. You can add your tagline in the same space as your image so visitors can associate who you are with what you do. For the purposes of online marketing, the most important thing your website can do is grow your email list. You want to stay in touch with people who visit your website so you can market directly to them later on via email. Your email sign-up form should be obvious to find. Don’t be shy about including it on your homepage. You want to place it “above the fold” on your homepage, which means it should be seen before someone ever needs to scroll down on their screen. When I’m building a website for one of my clients, I like to use a horizontal banner that runs across the screen. Combining your email sign-up form with one of the accent colors in your branding palette draws attention directly to that part of your website. Using a banner with your form also gives you space to include some snappy marketing copy. This will show your visitors what’s in it for them when they sign up for your email list. You may be wondering if a pop-up can replace an actual sign-up form on your homepage. The answer is NO. Absolutely 100% no. If someone closes that pop-up, you don’t want to lose an opportunity to get them to sign up in the future. Don’t worry about coming off as too “salesy” or too pushy. Promoting your email opt-in on your homepage is the very least you can do. Here are a few other suggestions for promoting your email list on your website. At this point, your homepage has all of the necessary features for the “above the fold” area of your layout. But your visitors need to see a little bit more once they scroll past that. In this area of your home page, you can add some copy that dives a little deeper into what your business has to offer. This is where you can position yourself as an expert in your niche. This section of your homepage is where you can let your brand’s personality really shine. Use this space to show off your brand’s voice. Speak directly to your ideal client here. You don’t need to write tons of copy here; just enough to keep visitors scrolling a bit more. Flesh out your ideas with H2 size headers and a few lines of paragraph text. Having a call to action invites your visitors to do more than just read your website and then leave altogether. The action you want them to take depends on the type of business you have. Be careful not to include too many calls to action. When you give your visitors too many choices, they may get overwhelmed and abandon your site. At the very least, your call to action could be inviting your visitors to sign up for your mailing list. If your homepage has enough content to keep your visitors scrolling for a few swipes, you could certainly add another email opt-in banner above your footer. When your homepage delivers a clear message about your business and how it can serve your target audience, it’s already on its way to supporting your marketing goals. When you add an email opt-in and a call to action for visitors to do something else on your site, you’re making the most out of your homepage. 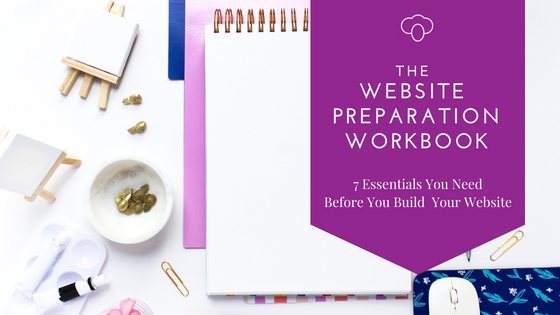 Download your free copy of the Website Preparation Workbook to see if your website has all the essential elements to help you market your business online 24/7.